The recent rise in popularity of the alternative-country form of rock music (ACR) has found a new hero! As American artists like Old 97's, Lucinda Williams and Whiskeytown bring this music form gently into the public spotlight, British band Minibar takes it and knocks it way out of the ballpark with Road Movies. 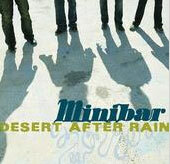 With steel guitars and harmonica, tight harmonies and an awesome pop sensibility, Minibar have created a timeless set of rock tunes worthy of the label "milestone." This LP represents the future potential of ACR music, and we can expect many ACR artists soon attempting to mimic the immediacy of Minibar's style.